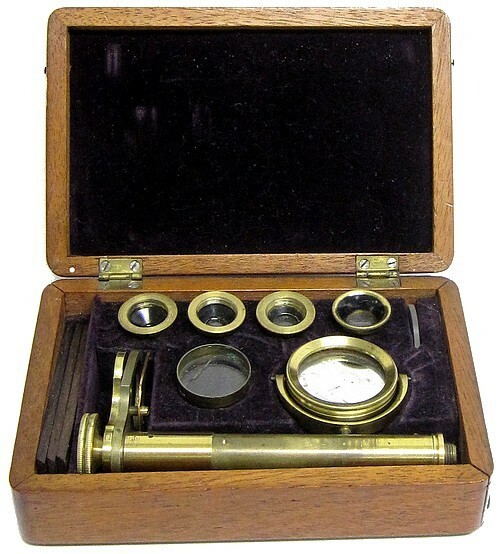 This English botanical microscope is supplied with four objectives, which can be used singly or in different combinations to vary the magnification. 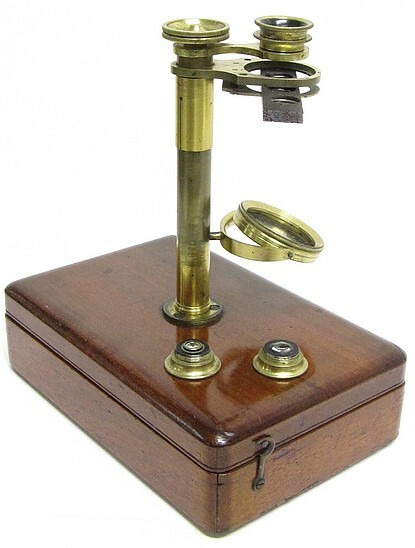 In addition, it is supplied with a brass trough with glass bottom for wet work, a glass stage insert, and three wooden slides each with specimens mounted between mica disks. The main focusing adjustment is accomplished by sliding the stage up and down along the pillar while the knob on top of the pillar functions as a fine adjustment.